More and more companies continue to move into Serviced Offices and not without good reason. Businesses now have the opportunity to set up shop in pre-furnished, pre-decorated, often impressive Serviced Offices, cutting days of hassle out of their schedule and leaving them free to get on with business from the day they move in. No longer do they have to bring furniture, buy internet connections or paint walls, but just move in and get on with work in their new, often elegant and impressive, Serviced Office. This might seem like a luxury that only a few could afford. However, FreeOfficeFinder recognised that Serviced Offices can actually save businesses money. Given that many costs are included in the monthly bill and a number of jobs are taken out of your hands, it soon becomes clear that Serviced Offices can be both stress free and cost-effective. We looked at some of the ways Serviced Offices do indeed save businesses money. As opposed to renting a leased office, you only pay for the space you really need in a Serviced Office. Facilities like toilets, kitchens, meeting rooms and break rooms are communal, managed facilities. The Serviced Office provider takes care of these, so that you only have to pay for the desk space that you use. This can provide a large saving for businesses, who would otherwise have to pay rent on all the space they use. When renting a Serviced Office, you won’t have to worry about chairs, desks, drawers or filing cabinets. In addition, the space will be decorated and can be configured on request. When you rent a leased office, you will need to purchase furniture as the space is typically an empty shell. Fitting an office out can also prove very expensive as build work isn’t cheap, so there is a lot of time and effort, in addition to cost, saved in the process.  Serviced Offices often already have employed staff, such as Receptionists and Admin Staff. This means that you can benefit from in house staff who can perform any adhoc task you need (on site) without the need to employ and pay wages for a dedicated person/s for the role. Sometimes, you may need to pay an extra pay-as-you-go fee for support service staff, but this is minimal compared to an actual wage. Any company that wants to expand takes a risk renting leased office space. They cannot be certain that their company will definitely grow into the space, nor can they be definite they won’t outgrow it. Either way, by taking a larger space to grow into, they will be paying for it (and for a long time, as you are usually bound to a 3 to 10 year contract). Renting a Serviced Office normally rids you of this worry. Rent the exact size you need initially and the provider will typically allow you to jump to larger spaces in the building as and when your companies grows.